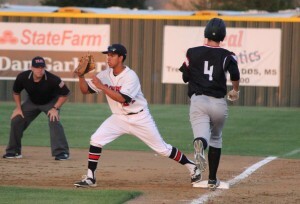 Junior first baseman Marco Navarro records a putout against Colleyville Heritage’s Joseph Huff. Coppell won the game 3-0 on April 21. Photo by Kelly Monaghan. In the bottom of the sixth inning, Coppell baseball coach Kendall Clark signaled over to three seniors Cameron Dougherty, Trevor Currington and Mitchell Solomon to get warmed up. Three players who rarely see the field were getting a chance to live out their dream; they were about to bat on Senior Night. Coppell’s 3-0 win over Colleyville Heritage Tuesday at Coppell Middle School West was made that much sweeter for Currington who got a base knock on one of the last night’s he would ever suit up in a Cowboy jersey at home. That win was fueled by usual first baseman Hayden Kettler. Usual in the sense that last night he batted fourth in the order but also was on the mound for Coppell. Kettler finished the game going 6.2 innings with six strikeouts and only two hits. He was taken out for the last out of the game for senior pitcher Caden Benedict, who surrendered a hit and a walk before being replaced by junior pitcher Ray Gaither who got the save on a strikeout. Besides pitching, Kettler helped himself out by crushing a two-run home run that cleared the left field fence in the bottom of the first inning. Other notable performances include: sophomore Trey Becerra 2 for 3 with a double and two runs, sophomore Austin Gross with a RBI single and Gaither with a save and one strikeout. 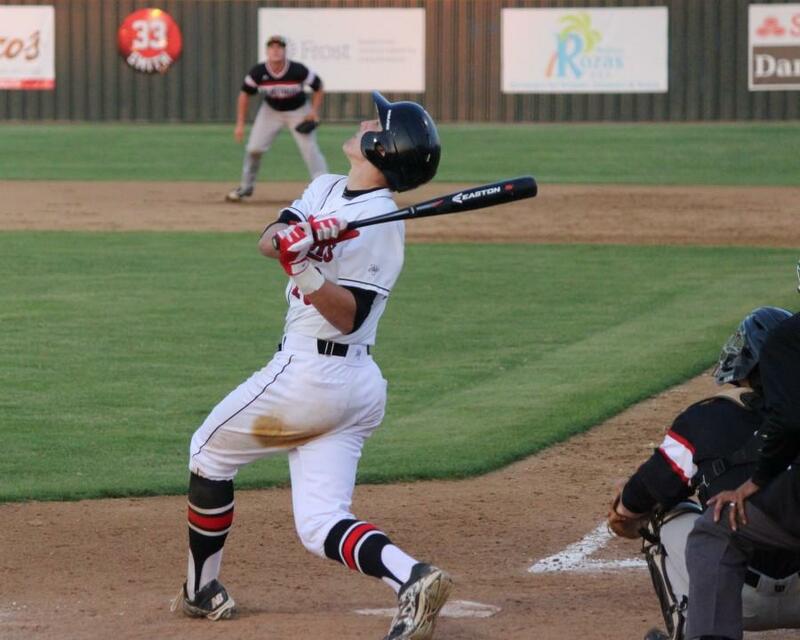 Coppell’s win over Heritage moves it to 7-2 in District 7-6A standings and sole possession of second place after Euless Trinity came back to beat Richland, 4-3, Tuesday night. Trinity is atop the standings with a record of 9-2.